Rudolfinum, is modern and sunny apartment with a unique location in the historical center of Prague. 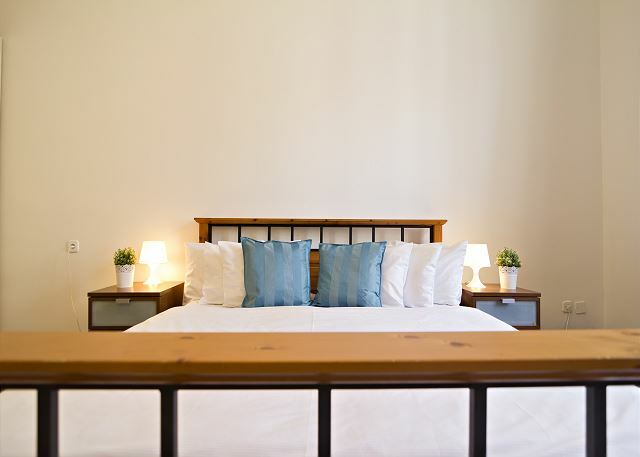 The apartment provides enough comfort for 2 to 3 people and is ideal for a family or a couple. 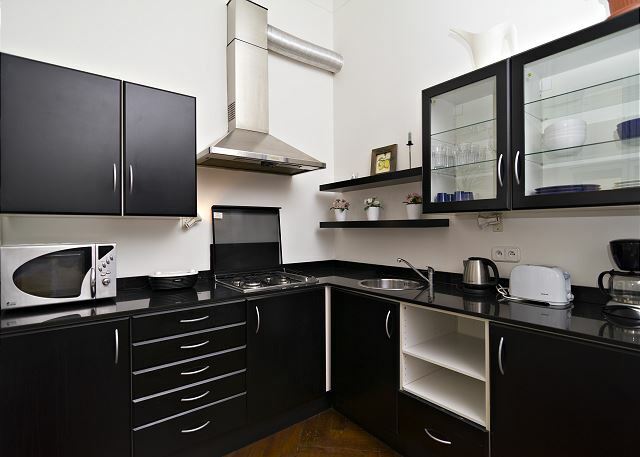 There is a well-equipped kitchen, with everything needed for preparing simple meals (coffee maker, microwave, toaster ect.) For those who like to stay in touch with friends or need to work during their holiday, there is high-speed internet connection. 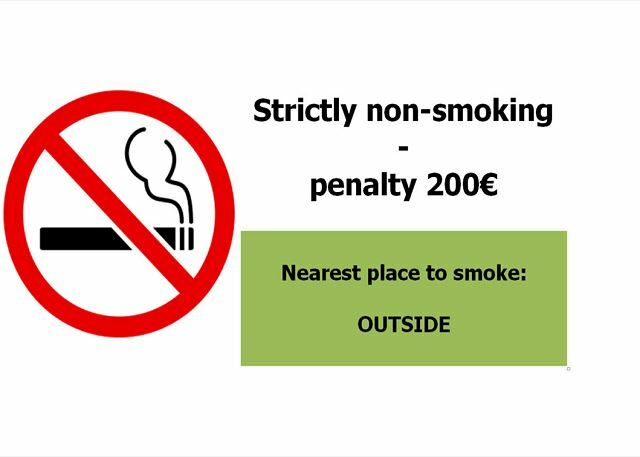 Rudolfinum is non-smoking. To get a better idea of what the apartment looks like, scroll down to view the floor plan. Rudolfinum can be an interesting choice for bigger groups since it is located in the same building as the Kaprova apartment. Kaprova is big enough for up to 5 people. Among other things, this apartment is a great location. 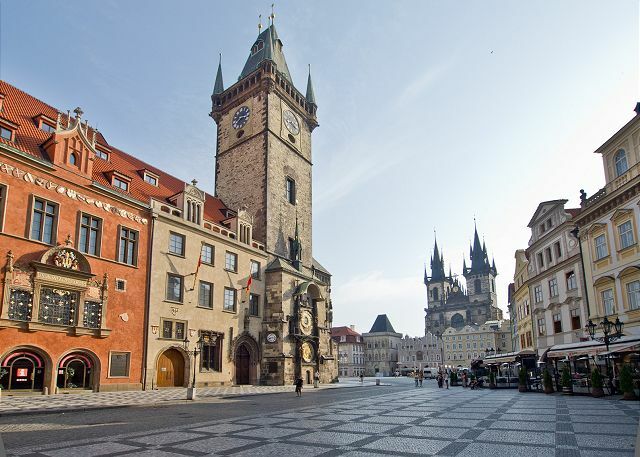 It is situated literally around the corner from The Old Town Square, The Charles University buildings and a few moments away from the concert hall Rudolfinum. You are simply going to be in the middle of everything! All the important places linked to culture and entertainment are easily accessible by foot. Thanks to its strategic location, Rudolfinum is a practical choice for a few stops during the day, so that you can relax and gather your strengths for shopping, sight-seeing or just exploring Prague. 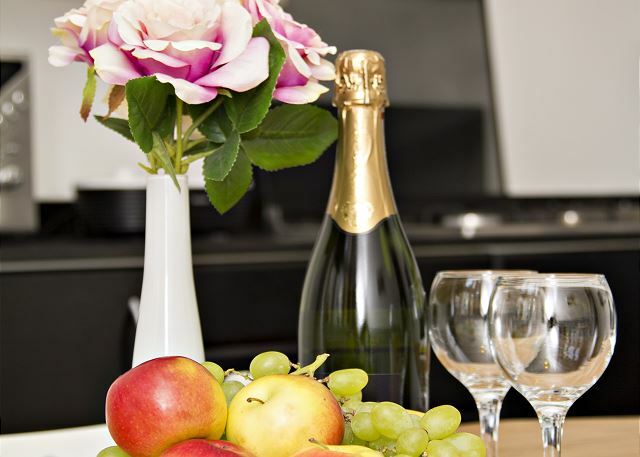 In the evening, you can dine in one of the many restaurants nearby and then continue to some of the numerous bars and clubs which are all walking distance away from the apartment. Kaprova Street, originally named SvatovalentinskÃ¡ Street, is one of the oldest streets in Prague and used to be connected to the Old Town Square. 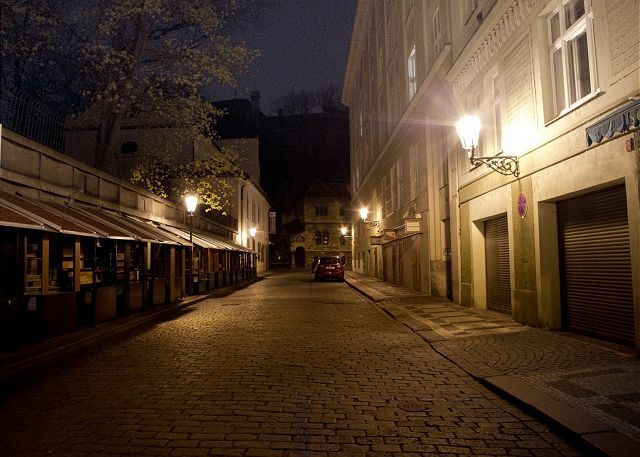 The street acquired its present name from the mayor of the Old Town, Pavel Kapr from KaprÅ¡tejna, in the second half of the 16th century. 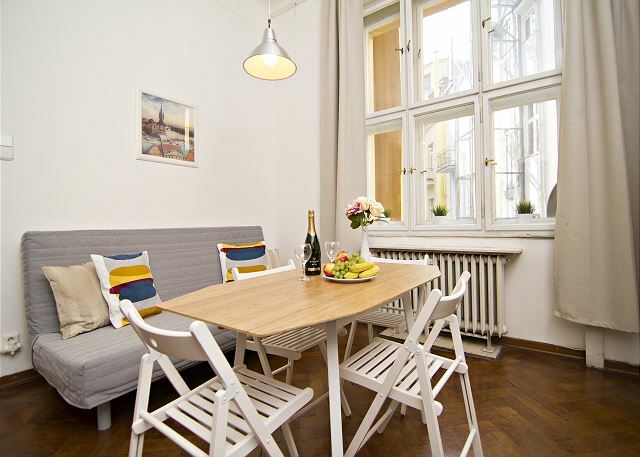 The Kaprova apartment is only a few steps away from one of Prague's most famous attractions, The Astronomical Clock, located in the Old Town Square. 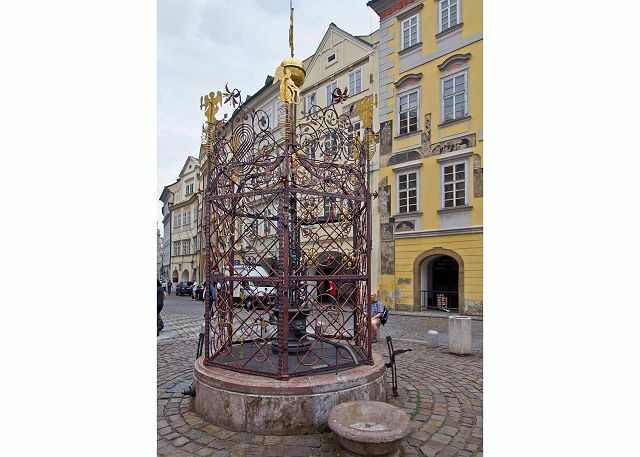 This unique astronomical clock was built in 1410 by a watchmaker called MikolÃ¡Å¡ of Kadan and an astronomer called Jan Ondreju. 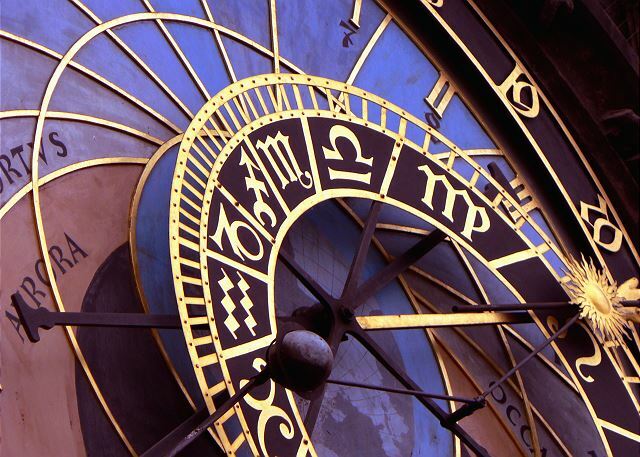 In the late 15th century the clock was perfected by Mistr Hanus z Ruze. At that time, the Prague councilors were very proud of their original landmark and feared that Mistr Hanus would build the same clock in a different city, therefore they ordered Hanus to be blinded. When Hanus learned who did this to him, he had his assistant bring him to the City Hall, where he, pulled the lever and damaged the machine forever. Allegedly it took ages before they found someone who could repair it. Meanwhile the silence of the clock reminded the councilors of their horrible deed. An interesting fact about the clock is that the only part which has nothing to do with time are the apostles, they are there for religious reasons. The apartment was very spacious with everything we needed except for a clothes washer, which we knew in advance so it was not a problem. The apartment was clean with clear instructions for how to operate things, etc. We found the apartment easily and the rental company was very accomodating. The apartment was very clean, in a great location and just as described. It was across the street from two good breakfast spots and a short walk from a metro stop. We used the airport driver and he was very professional and helpful. 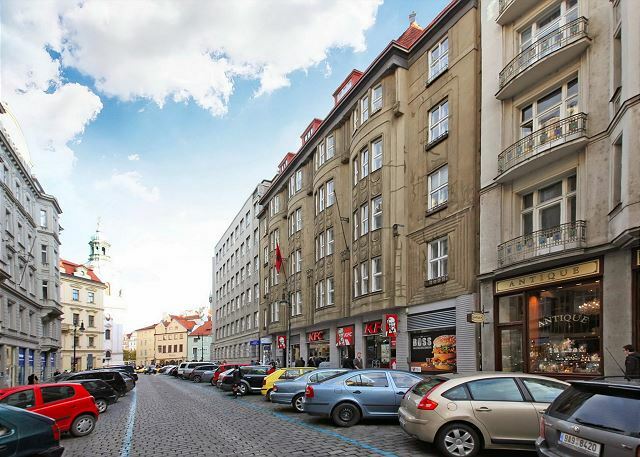 The apartment is literally around the corner from Old Town Square, close to the Jewish Quarter and the Old Town, and a quick walk to Charles Bridge. The place was immaculate when we arrived. 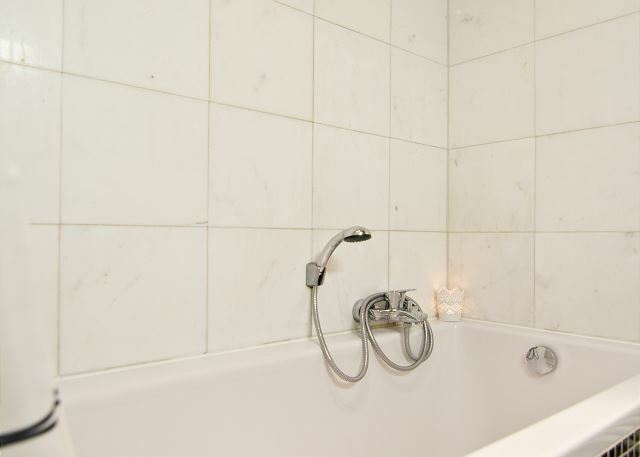 The bathroom is nicely appointed, though it is a bit tight in spots and, curiously, the shower hose is too short for proper placement on the wall. The bedroom is cavernous and the bed quite comfortable. The large, bright kitchen serves as both dining area and sitting/TV room but that still works well. The RENTeGO drivers to and from the airport were on time and informative. Highly recommended overall. We had a great 4-night stay in this well-equipped flat. It was perfectly located so we could come and go during the day. Nice apartment, close to main square, metro, buses, restaurants. BUT, in spite of 11AM checkout, cleaning lady came at 8AM, before we were dressed and packed. She proceeded to clean and would not leave. I stayed in Prague at the Rudolfinum Apartment in September 2018. The apartment was in an excellent location. I slept on the bed in the kitchen while my best friend slept in the bedroom. Both rooms were great as we did not do any cooking. The apartment had a elevator and was spotless, very clean. The bathroom was sort of cramped. But it did have a nice bathtub and a good light at the sink. It is very hard to have 2 people in there at the same time. The Rentego staff answered my questions in a very quick time frame. Their answers were correct and helpful. The only complaint I had with them was their little questionnaire about your passport #, address, etc. when we first arrived. These questions could have been answered at home before we were on vacation. I did not have a calling or a data plan on my phone. This is vacation and I did not need one except to deal with them. While this made me very angry, I cannot take away from the apartment because it was fabulous. Please change your procedures on this and everyone will be happy. Just leave a form to be filled out when you arrive or something else than by phone. We used their driver from the airport and to the train station and both trips were amazing. The driver was courteous and knowledgeable. 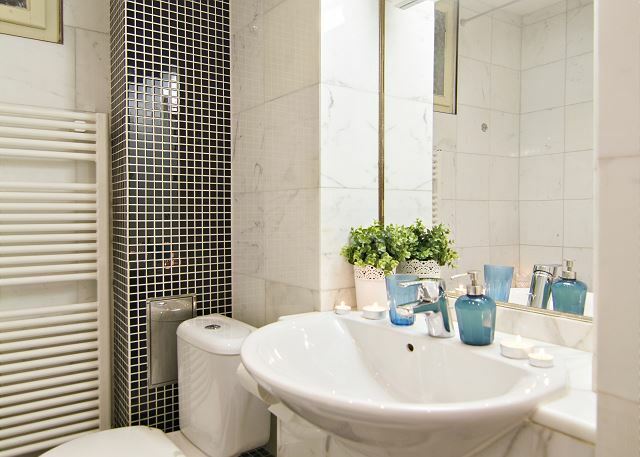 Very nice apartment in the heart of the old town! 1 block from Old Town Square! Lots of cafes and restaurants on the street and nearby. A character building with a modern renovated apartment. sofa-cama muy incomodo, aseo muy pequeño, ascensor inseguro, nadir que te reciba para explicarte las cosas ni darte las llaves. This apartment is in the perfect location. You are just a walk down a few stairs to the heart of Old Town. The tall ceilings and big rooms made the place feel giant. The apartment is a little older than expected. The bathroom and floors are a little worn. The apartment was very clean and tidy on our arrival. Communication with the staff at Rentego was quick and efficient. We definitely recommend this rental ! Perfect position to visit the city without the use of metro or tram. The apartment is very warm and comfortable in a very nice street in the city center. We had a splendid stay in Prague. The whole process, from the moment of reservation till we left was sharp and helpful. The lady that met us at the apartment was on time and gave us useful information about groceriestores and wifi issues. Thankyou for a clean, cozy and very well located apartment. The beautiful Charles bridge and old Town was so close yet we didn’t experience al lot of noice. We can definitely recommend this apartment. 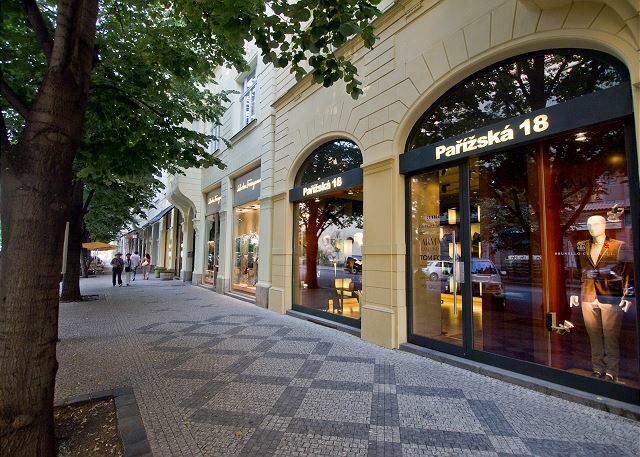 Amazing location within walking distance of all the main sites of Prague. It was great to be able to stop back at the apartment throughout the day. Easy check-in and check-out process. Highly recommend. It was a nice, bright and well-equipated apartment, specially the kitchen it was so beautiful and spacious. We needed to change the checkin hour and they had no problem so we feel really grateful. Everything was great and the best of all was the location. 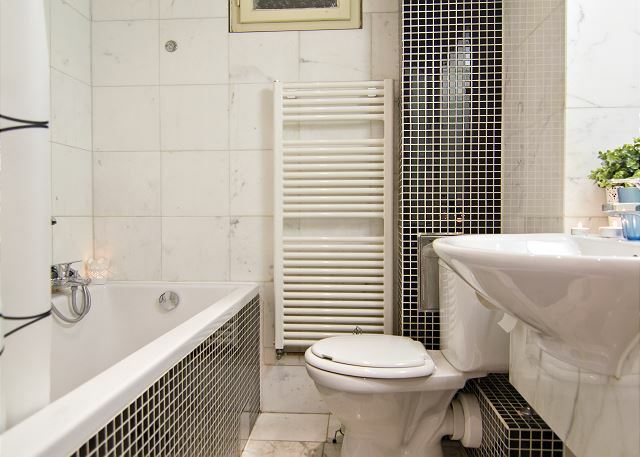 Spacious and comfortable apartment situated within a minutes walk to The Old Town square, 5 minutes from Charles Bridge. I really couldn't have asked for a better central base for my recent trip. Emplacement super, appartement calme et propre. Je recommande !! The apartment was clean and comfortable and served us very well. The location is superb, very close to all the old town attractions. The property was even better than expected from its description, in a perfect location for Old Town Square and 5 minutes from a Metro Station for seeing other sights. The service we had from Rentego was excellent, they responded to any queries almost immediately, even on a Sunday. The apartment was clean and warm and there were lots of little touches which were appreciated. I was a bit puzzled to find there was no oven at the property but believe this may be typical for the area. I have already recommended this property to friends and would love to return. Prague is a beautiful city, very easy to get around and especially lovely to visit out of high season. we had a very good time, the apartment was clean, in a very good position and quiet. the property description was quite accurate but the pictures in the website were a mixture of all the apartmens, so was difficult to have a precise idea of what we got. The manager was on time and very helpful. 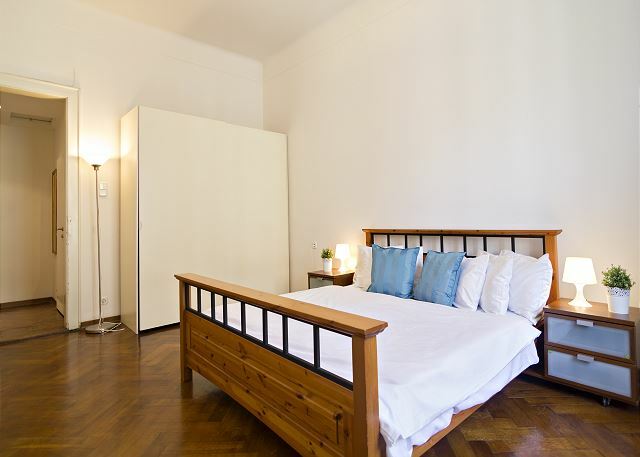 I would recommend Rudolfinum, the apartment is clean, comfortable and spacious. The location is great close to main attractions, all walking distance. The apartment was clean and well equipped, nothing missing. 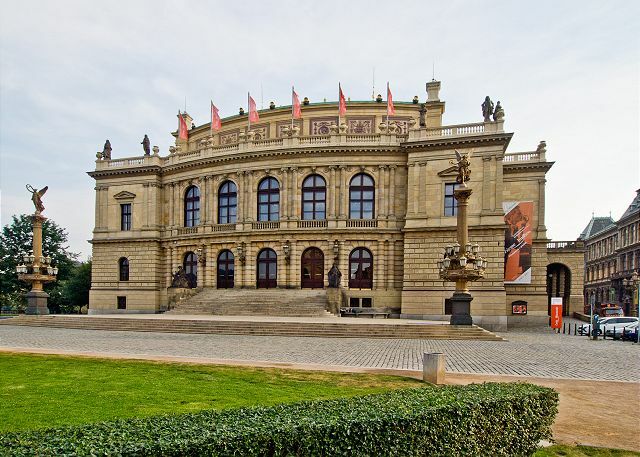 The location "Rudolfinum" is in the center of the old city, near of metro,trams and bus: it is very practical! 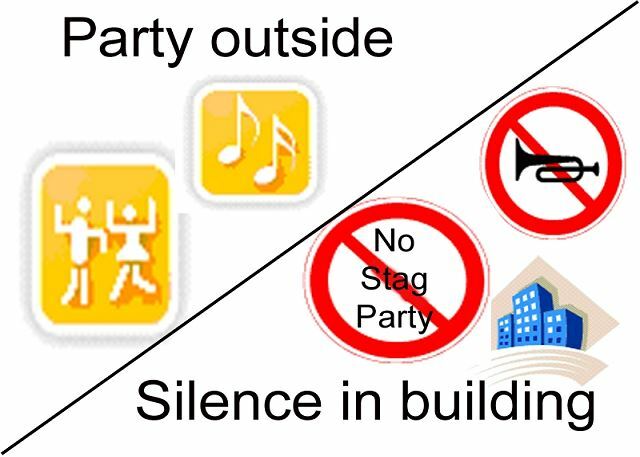 It's also possible to visit many monuments, museums and interesting streets closed to the location. We enjoyed the very complete equipment of this location. Good stay. They advertised A/C, but there wasn't any. Place was in a great location. We had trouble with the hot water, but they responded professionally and quickly to come up with a solution. A wonderful apartment in a fabulous location. 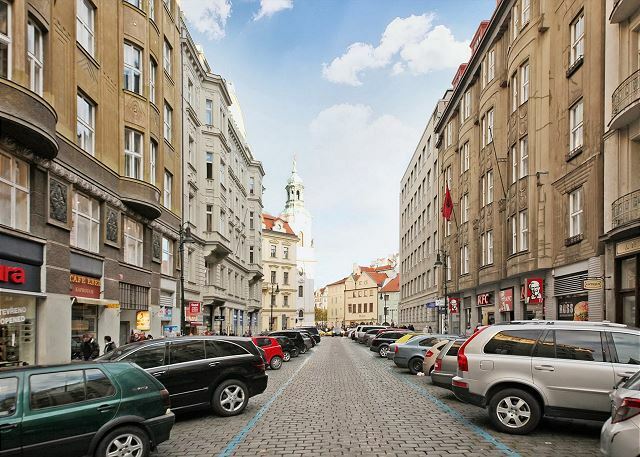 This rental is in a prime location -- walking distance to everything you could possibly want to see in Prague. The local contacts for this property are amazing and helpful. They went above and beyond during our stay to assist us with some travel issues. 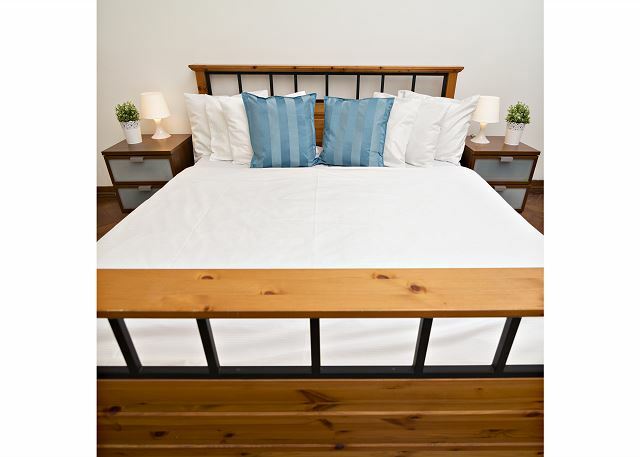 The property is clean, well maintained and has everything you need to be comfortable during your stay. We would definitely book again. Thank you for all your assistance with booking. You were organized and responded to all our questions. 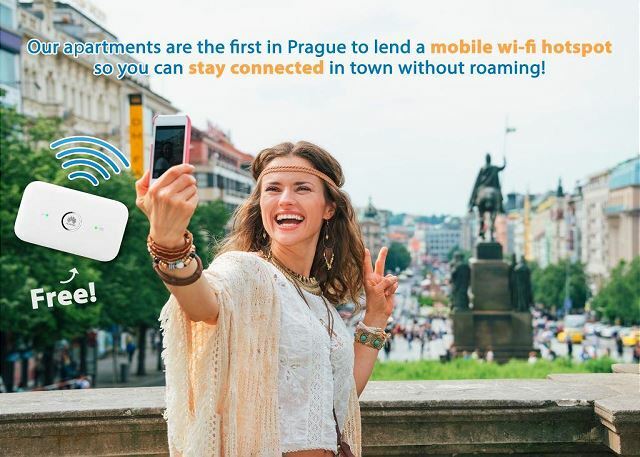 The location was Super and having the wifi adapter was great for touring around Prague.. The apartment was very clean and comfortable. Made our trip that much more enjoyable. Thank you for providing us with your beautiful flat. Jen. We enjoyed the Rudolfinum. The bed was very comfortable. The bath and kitchen were a nice size. The whole apartment was clean and neat. No tissues or paper towels are provided -- toilet paper only. The location is fantastic -- half block from the Old Town Square. It is noisy at night. At about 2:30 am it is necessary to close the windows. No air conditioning, but there is a fan. Overall, we like this unit. Clean, modern apartment. 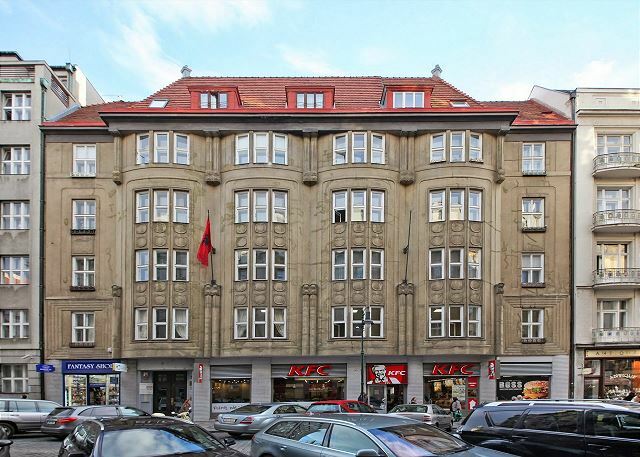 All in good working order and excellent location right in the centre of Prague. The lift to the third floor was a great help as my elderly mother was in a wheelchair. Convenience store, other handy shops and bars very close by. l'équipe de rentego très disponible et réactive: un plaisir! A recommander sans problème ce que j'ai déjà fait!!! This was my first VRBO rental and it was a great experience. The location was absolutely perfect. We were literally half a block from the main square, and we were dead center of all the main sites. 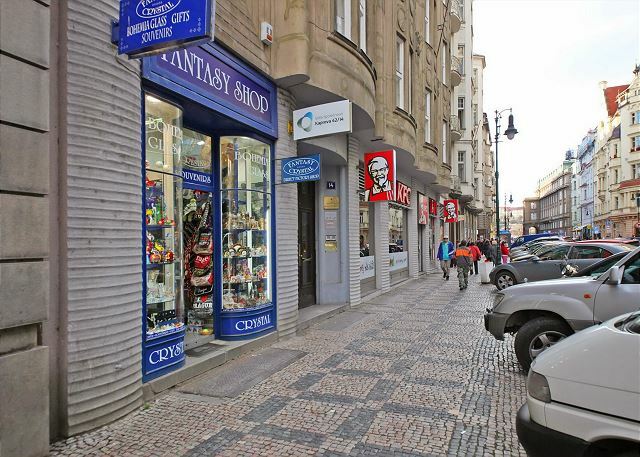 Everything from old town, the embassy area, Prague Castle, the train station,... are all a short walk away. Further, there were many restaurants, coffee shops, burger shops, trdelnik places, shops, mini markets.... all around the place (check out Restaurant Mlejnice... goulash, bacon/spinach/onion dumplings, ribs, pork knuckle...). The place itself was nice, spacious, and very clean. 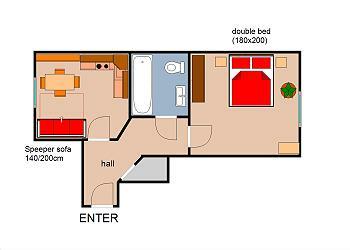 Both rooms are good sized and they have mostly everything you could think of having in an apartment abroad. It was also very nice having a kitchen being away as opposed to a hotel. We did not cook but having a fridge, knives, plates, cups,... were all very helpful as one thing I like to do is go the a local supermarket (TESCO is 5-6 blocks south) and get some local fare including the Hungarian/Austrian sausage, cheeses, fresh breads, beer, and bacon flavored and kabob flavored potato chips. I cook a lot at home and spent time abroad in Italy and Japan, and it gives you a different perspective on what food the locals eat and cook with, and what their culinary options are instead of being limited to just eating out. It is also great if you want to have a quick breakfast or snack of sausage, cheese, and bread, and get on your way to sites. Further, the Mi-Fi is a great benefit when walking around the city to navigate and call home. Last, the staff that I emailed with was very friendly and responsive. 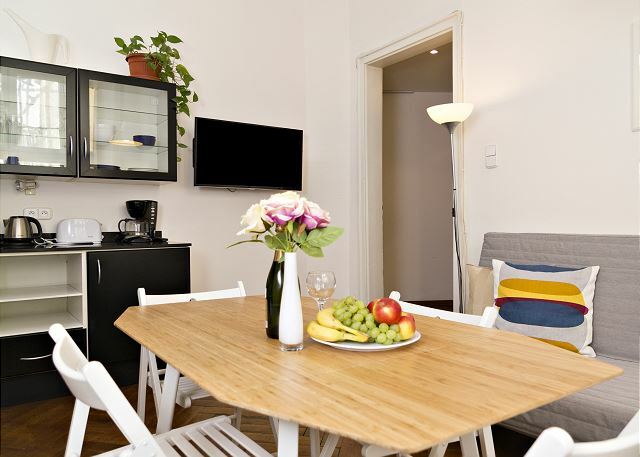 I would definitely recommend this to people that are looking for a place that is centrally located, in a nice apartment where you will not feel like a tourist, and can get a taste of what it would be like to live in Prague. Fabulous location where you walk to the absolutely splendid old town square and everything you need is right there! Restaurants, Castle, Charles Bridge.We found it all so easy and thoroughly enjoyed our cosy apartment. Near to center, spacious sms confortable. 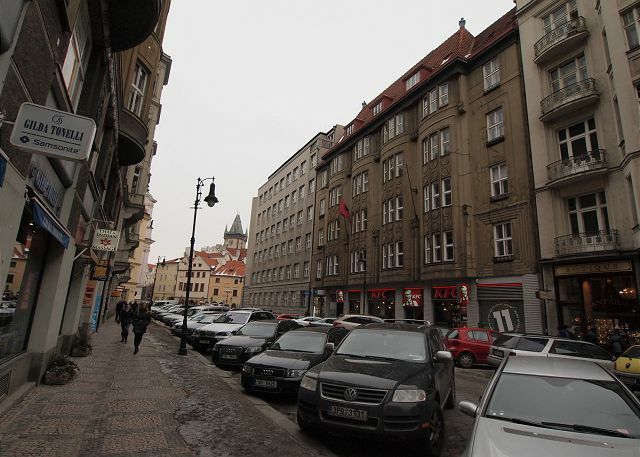 The apartment was located in a great spot, right next to the square and old town. Couldn't get better than that. Thanks so much Milena :) Feel free to contact us anytime again! 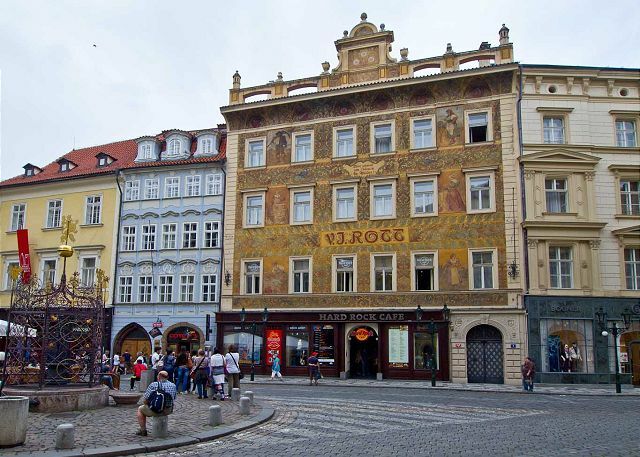 2-minute walk from the old-square, from the Jewish Cemetery and from a metro station, the flat is ideally located to discover Prague. Surprisingly quiet given the location. Cleanliness could have been better and uncomfortable bed but good cost/quality ratio. Thank you Gilles, we will check it with your cleaning team. We are happy that you enjoyed you stay in Prague! Appartement très spacieux à deux pas de la place de la vieille ville. Literie moyenne, éclairage moyen, (éclairage défectueux dans la salle de bains), mais finalement agréable et bien équipé. Un appartement très central, agréable, propre et bien équipé. Dommage qu'il y ait eu une erreur pour la réservation du transport vers l'aéroport le jour du départ. Merci beaucoup, nous sommes heureux que vous avez bien profité de votre séjour a Prague. We received a package from the owner prior to travel with key, door code and excellent instructions. The apartment was well equipped but did not have air conditioning or a washer and dryer. The location was superb. It was our first visit to Prague and we loved it. Take your walking shoes, because you can't see the best sites from a bus. Great to hear that you enjoyed your stay in Prague so much, Ken! We are happy you had a good time, feel free to contact us anytime in the future. Everything was perfect from the apartment to the people behind the rental. Perfect Location and Mobile Hotspot Provided! It was great! Literally around the corner from the main square in the Old Town. FYI, it is a 4th floor walk-up (there is an elevator but I couldn't get it to work), which for me was not a problem but might be useful for someone to know. Also, they provided a mobile hotspot that you could take with you around the city, which was SO useful. Would definitely recommend! Thank you very much Carlyn, we're happy you were satisfied with our services and we would gladly welcome you in any of our apartments next time you come to Prague! The whole preparation of our visit by RENTEGO was very professional and reliable. Any question prior to our departure was answered very promtly. Estuvimos cinco noches en este apartamento, el sitio en inmejorable , al lado de la plaza de la ciudad vieja y muy bien equipado aunque no nos hizo falta usar la cocina.Cojimos atolladero tranvía para ir al castillo y no tener que subir la cuesta, todo lo demás se recorre andando.El personal de la agencia muy amable y pendiente de que esté todo correcto , solamente una pega, la limpieza de la ropa de cama y los cojines aunque posiblemente sea culpa de quien hace la limpieza , el resto del apartamento estaba limpio .El servicio de taxi al aeropuerto están a la hora , tanto a la ida como a la vuelta . Volvería con esta agencia sin dudarlo. La pieza que sujeta la ducha estaba rota y se lo dijimos, al poco tiempo ya habían ido a cambiarla . Thank you, we are glad everything went well. See you next time! Appartement très propre, idéalement situé à 1 mn de la place de l'horloge astronomique. Je conseille fortement pour petite famille. A louer sans aucune hésitation. L'appartement ne peut pas être mieux situé, à 1 mn de la place de la vielle Ville, tout en étant au calme. L'appartement est très agréable à vivre. N'hésitez pas à prendre le service chauffeur aéroport/appartement via l'agence. Les personnes de l'agence sont ultra disponibles et répondent très vite aux mails dans un français parfait. Merci beaucoup Frederique! Nous sommes heureux que vous avez bien profité de votre séjour a Prague. Very good staying in apartment, close to the centre, large and comfortable. 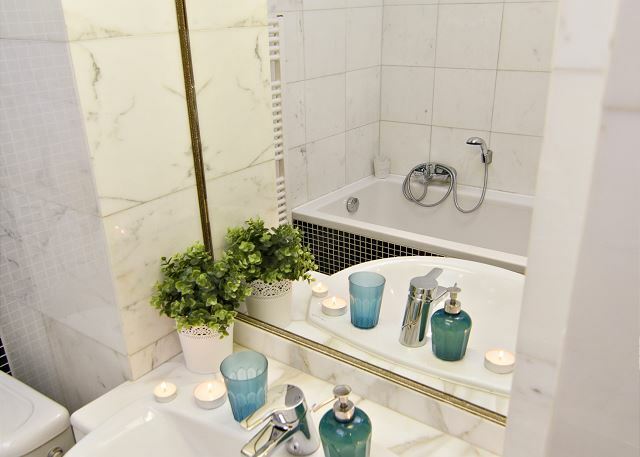 With two small children, you could not have asked for a more centrally located apartment. We were thrilled that less than 200 yards away from "home", the Astronomical Clock stood. There was an ATM literally outside the apartment building, and the corner boasted a small food shop. The apartment was bigger than I expected, and just what we wanted- room for a pack and play, and the futon for my older child. It was clean, came with everything we needed, and we will definitely come back in the future. The only negative I would say is that we weren't notified ahead of time that we would need to utilize a parking structure for our car- extra cost and time on our part, but peace of mind about the safety of our car. Agréable séjour du début à la fin. Rentego a un excellent site internet. C'est facile et rapide de communiquer avec eux. Ils répondent rapidement à toute question avant notre arrivée. L'emplacement est très central et très proche du fameux Pont Charles. C'est le temps des marchés de Noël et partout l'ambiance est féérique. Merci beaucoup, Daniele! Nous serions heureux de vous accueillir à nouveau ici. Tout correspond exactement à la description donnée. Appartement très agréable et confortable. Parfaitement bien situé, on peut à peu près tout faire à pied, sinon métro et tram juste à côté. Merci beaucoup, Jean-Jacques! Nous vous remercions d'avoir choisi Rentego lors de votre visite à Prague et nous nous réjouissons de votre prochaine visite. The apartment was in a perfect location. It is above a KFC but you never smelled it in the apartment. There is a small grocery on the corner across the street which was nice. Also, the best spot for exchanging money is on the other corner across the street. The apartment could use a couple more comfortable chairs other than the dining room chairs and the bed is more like a futon than a real mattress. Overall it was a very good place. This apartment is wonderful! I traveled without my husband and felt very safe in the apartment and in the area. The window in the bedroom overlooks a busy street and I was able to sit there and watch the crowds and the horse and carriage go by. It was delightful! The kitchen was well-equipped. Hot water for showers was ample and there is a a huge bath tub. The driver, Jerry, was so welcoming. He speaks beautiful English and shared a lot about the country of my ancestors. The correspondence regarding this reservation were smooth. All of my questions were adequately answered. Should I ever make such a long trip again, I would definitely use this rental service again. I was nervous to be in a foreign country without my husband, but the many locks on the door really helped me feel safe. This apartment is a block or so from excellent transportation. I prayed about where to stay and God certainly provided a safe haven. God bless you, Rentego staff! Dear Sue, thanks so much for this nice comment. We were happy to help you to enjoy your stay in Prague, it's really nice to hear that you has a good time here. Do not hesitate to contact us for your next visit! Nice expérience except for the car parking issue. Your management should help more the guests regarding this problem. Thank you for staying with us, Hervé. 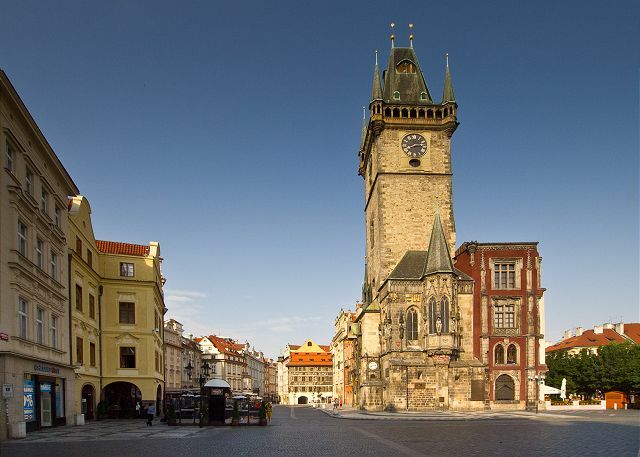 The information about parking in Prague is now available on our website, however we will do our best and try to provide more detailed information. 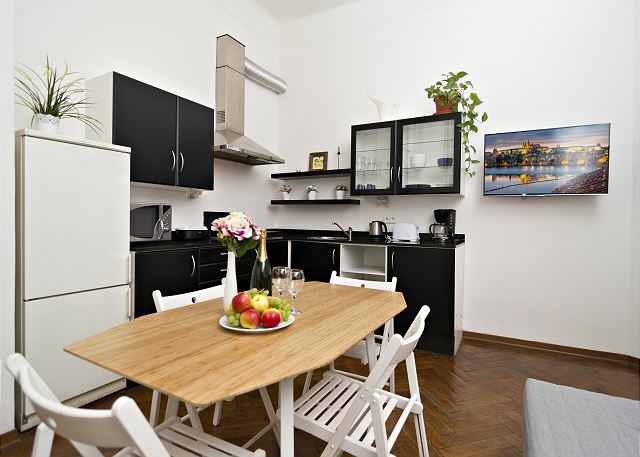 I was in Prague end of June 2015, the apartment is just some steps from the central plaza, the apartment is in a 3er floor but is no problem, everything was clean and ready to use, in addition they have some important information that is useful, the transfer from and to the airport is good too. Great location,lovely building,cozy apartment!!! silent center,really one of the best places to stay!three picky young ladies were satisfied and pleased! dont hasitate to chose this apartment! High ceilings,minimalistic design,cleanliness and silence-is what we loved. Just we didnt find the washing machine on its place..maybe its on repair..? in all we thank you,team of Rentego,for our perfect stay at Rudolfinum apartment!Good luck! we´re a couple from argentina travelling with a 2 years daughter... we loved Praga and the flat we´ve rented was in great location for going everywhere walking..
We absolutely loved the location. Even though it is placed in the very center, it was quiet during the night. Service was great, we found all the necessary information in files provided in the apartment. We will definitely consider renting an RENTEGO apartment again. Great apartment and the property management was very nice to help us. Do not hesitate to come here. We are a french couple with a one year old baby, we had a very nice stay! The appartment is perfectly furnished (even with baby's stuffs like bed... If you ask them before), has a perfect localisation to visit Prague. Rentego's people are very nice, and answer very quickly to e-mails. We used their driver from the airport, very nice too. We recommend this appartment highly! it is good, excellent, nice. Only "to improves" are : 1 large bed vs 2 small beds and the right lamp/electricity not working. otherwise very happy, thanks ! Our stay was great, very good place, well located in the great Prague center. I recommend this place for all people who look for a good place and not very expensive. Alles in allm sehr gut. Hätte nur etwas sauberer sein können. The Rudolfinum flat is right around the corner from Old Town Square, which was a perfect location. The flat itself was spotless and had all the amenities. Highly recommended. excellent service pour un très agréable appartement en plein coeur de Prague. C'est la deuxième fois que je loue un appartement avec Rentego à Prague et je recommande sans réserve. ???? ?????-??? ?v ?? ??????? ?????,? ???,??? ?????!!!!!!!!! Je recommande RENTEGO les yeux fermés. Ils sont très disponibles et réactifs, leurs process sont simples et les consignes/conseils laissés dans l'appartement sont clairs et rédigés de façon sympathique. J'espère avoir l'occasion de réserver à nouveau leurs services dans une autre ville lors d'un prochain voyage. Nous rentrons de 4 jours à Prague où nous avons passé un très bon séjour (2adultes et 2enfants de 8 et 4 ans). L'appartement est extrêmement bien situé (commerce, visites, monuments, transports). Tout est à proximité. Nous n'avons pas eu besoin du tram ou du métro. Tout peut se faire à pied. Prendre une poussette pour les petits est recommandé tout de même. L'option "transfert" était satisfaisante. Dommage que le chauffeur ne parlait ni français, ni anglais. L'office du tourisme est juste sur la grande place à côté de l'appartement pour obtenir un plan de Prague. Sinon Rentego met quelques documents à disposition à l'appartement. Everything nice, but there aren't washing machine and dish washing maching. It's a very good experience and a beautiful trip !!! We loved it despite some problems with the bathroom. Everything was ok. The team was nice and helpful. Thanks. Aucun souci avec l'équipe de Rentego, efficace et professionnelle, très disponible pour répondre à toutes nos questions. L'appartement Rudolfinum est idéalement situé, en plein coeur de la vieille ville. Convient pour 3 personnes sans problème, bien équipé. Seul point à améliorer : la propreté que nous avons jugée moyenne. This is a great place for 3 people. The management company makes checking in and checking out very simple. I would highly recommend this place. After requesting a downtown location accessible to all Prague's attraction we were offered a great appartment in the heart of town. Spotlessly clean and well-serviced a temporary home from home. We had a wonderful time in Prague and loved being so extremely central. Everything was approachable on foot and we didn't need to use any public transport. Also loved being independent in a flat rather than sharing a room in an hotel. Everything was super. 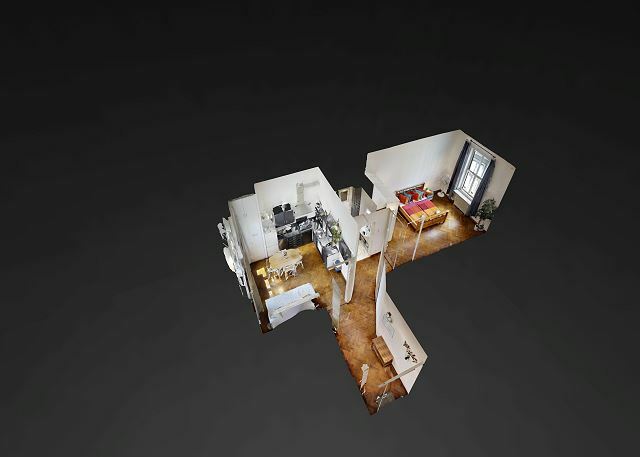 Un appartement idéalement situé au coeur de la vieille ville. A part la cuisine, belle et très moderne, la déco est moyenne, mais pas désagréable du tout. C'est propre et clair. An excellent property to stay at. The location was close to everything and in general we walked to all the sights. The apartment was large enough to accommodate myself and daughter easily. The wifi connected easily. Would highly recommend it. so comfortable and quiet,right in the historical and artistic center of that great city. Just one problem : not a lot of hot water!!! Nous avons été enchantés de notre séjour et notre location était merveilleusement bien située pour découvrir la ville à pied, en bus ou en tramway. The team were very professional, and had all the practical information on Prague. Special mention to our driver to the airport sorry, i forgot his name - Ivan's brother - who helped keep our bags in his car as we were leaving for the airport later and there was another guest checking in. We very much enjoyed the location and the size of the apt...we could walk everywere! The rental agency was very nice and helpful. Cette appartement est idéal pour visiter Prague. Il est très confortable et fonctionnel. A great spot to explore from, so close to the Old Town Square and Jewish Quarter, you can pop 'home' to drop off shopping or go to the loo! This appartment is VERY well located. it is clean and clear. perfect ! ?? ???????? --- ?????-????? ????????? ???????? Magnifique expérience. Un appartement très bien situé , à 2 minutes de la vieille ville. Appartement idéalement situé en plein coeur du quartier historique. Très bien aménagé, très bien équipé et très spacieux pour 2 personnes. Plutôt facile d'accès depuis l'aéroport (45 mn de trajet). Les conseils de l'agence sont très pratiques au niveau de la vie courante (commerces, etc...). Il y a un mini guide pour chaque situation ;) ! Meilleur rapport qualité/prix sur Prague ! Je recommande vivement Rentego !! Hello, as a whole the apartment was pleasant to us. Thanks for fast reaction concerning the idle iron. There is a small wish. For a family with children the washing machine is very important. And in the rest all was excellent. An arrangement of apartment the excellent. 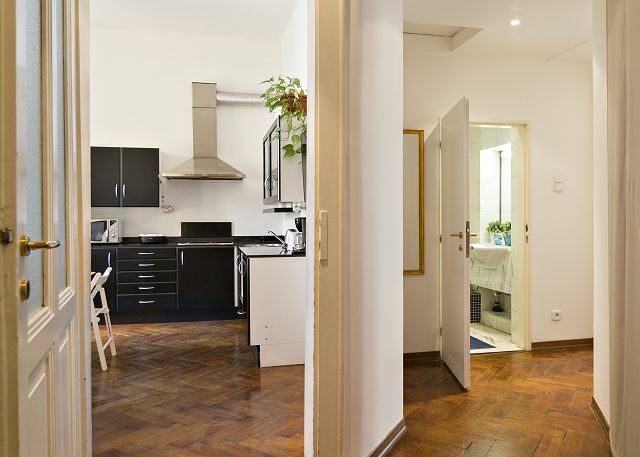 very quiet and large appartment right in the main square of prague... don't miss it ! vraie chambre mais ce n'est pas une surprise. Le seul problème que nous pouvons soulever a été le bruit très tôt le matin, et durant la dernière nuit. Des travaux majeurs voisins de notre appartement très tôt le matin qui nous empêchait de dormir et les travaux en pleine nuit dans un appartement de l'édifice. Very good location for the appartment. And Rentego a very good partnership. Situation idéale pour découvrir Prague ! Les clés envoyées en avance, les astuces et les conseils permettent une arrivée et un séjour sans stress. L'appartement est très bien situé, très proche de la place de vieille ville, de tous les lieux importants à visiter, à pieds, spacieux pour 2 personnes, très confortable, bien chauffé en hiver; il nous a permis de passer un agréable séjour à Prague. I have been booking with Rentego for several years now, as I find their apartments cheaper and more convenient than hotels. They are always very efficient, and helpful. The apartments I have used have always been well situated for everything I need. I would recommend them to anyone, and intend to continue using their services in the future.